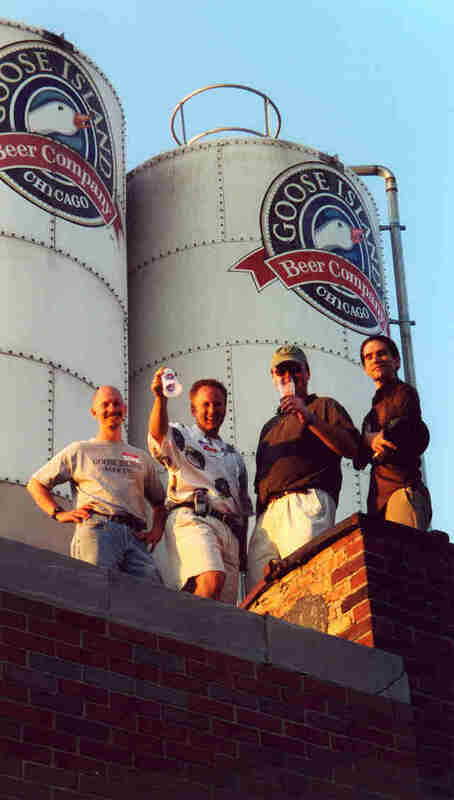 Things you know about Goose Island Beer: 1) not to offer ANYONE a sip of your Bourbon County Proprietor's, 2) uhhhhhhhhhhh, yeah, turns out you don't know a whole lot about the Godfather of craft beer in Chicago. 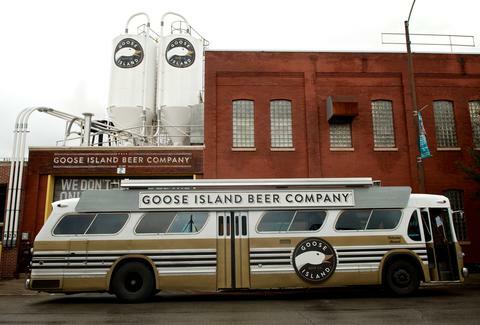 Time to fix that: here are 11 things you don't know about Goose Island. 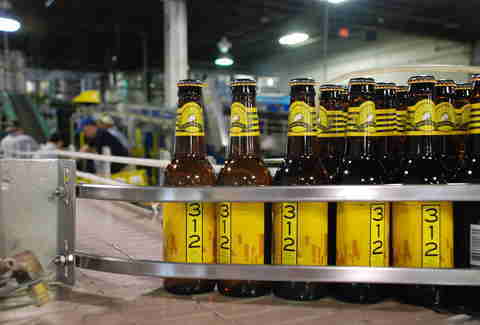 As the story goes, Chicago area resident and Container Corporation employee John Hall got the idea for starting Goose Island while flipping through an in-flight magazine article on boutique beers during a flight delay in 1986. "I must be the only person in history who made a major career decision on the basis of a Delta Sky article," he says. After attending a dinner in South Bend in 1992, at which he was seated next to Jim Beam’s master distiller, Hall got six bourbon barrels and started to experiment. The result? 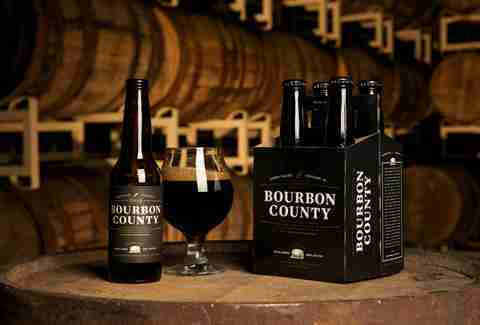 The world-renowned Bourbon County Stout. ... because it was too strong. Yes, this happened. Now, it's consistently rated one of the best beers in the world, with people camping outside of liquor stores every Black Friday awaiting its release. This was brewmaster Brett Porter's response to the question: "What's the most difficult situation or obstacle you've had to overcome in your professional brewing life? ", posed during a recent Reddit AMA, in which Porter added that he once brewed a "Brett Porter," and "it was terrible." 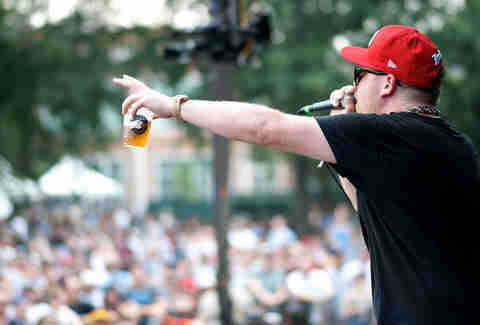 In 2013, Goose Island -- which is available at 60% of Chicago's street fests -- made a beer for Pitchfork Fest with festival act Run The Jewels, who spent an entire day at the brewery geeking out over the brewing process. 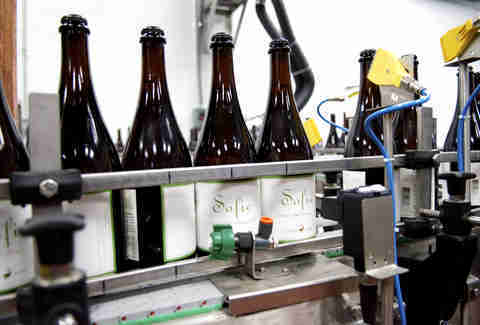 In 2014, the brewery worked with Sharon Van Etten to come up with SVE Kolsch, and has even worked with Pitchfork staff itself to develop the beers Forcone Pale Ale and Recommended Pilsner. And this is one of the bands that played. They actually put on special events frequently: they took over the only roundabout in Chicago for a series of Sundays featuring live music, are hosting a winter street fest on February 28th, and are still hosting a block party/street festival outside the brewery every 3rd weekend in September. Which is still less than 2% of all beer sales in Chicago. What? We’re a thirsty city. 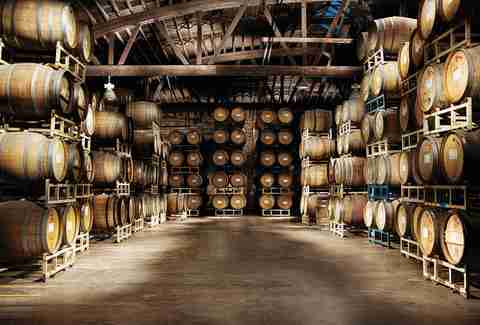 Revolution, Perennial, Penrose, Off Color, Fremont Brewing, Firestone Walker, Southern Tier... all founded by Goose Island vets. And another 10 have gone off to become brewmasters or head brewers around the country. 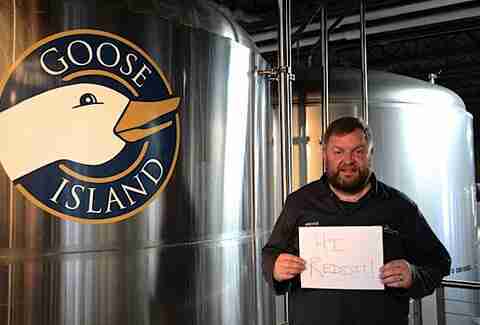 So, even if you leave Goose, as a former employee you probably won’t be paying for beer when you visit your next brewery. 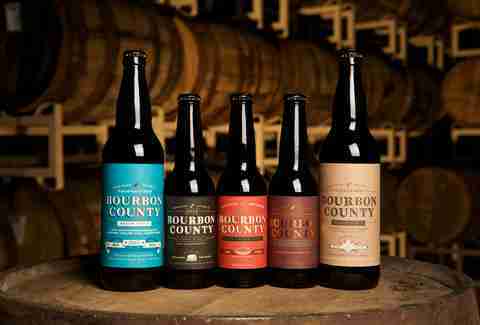 A 2010 bottle of Bourbon County Rare recently sold for $209.99 (plus shipping, bro). 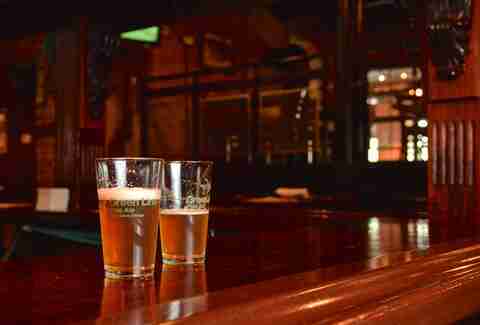 Honker's Ale, which Hall (not surprisingly) cites as one of his favorite beers. Also, Sofie? That's his granddaughter's name. It was called "312 Day", and it was on March 12. The video explains the evolution of the idea, and features guest appearances from Wayne & Garth, Indiana Jones, and a guitar-smashing Bluto from Animal House. Jay Gentile is Thrillist's Chicago Editor and he is wondering if Goose Island wants to sponsor his basement band. Follow him @ThrillistChi.